I may have arrived too late at the store to go grocery shopping, but look what greeted me in the parking lot! 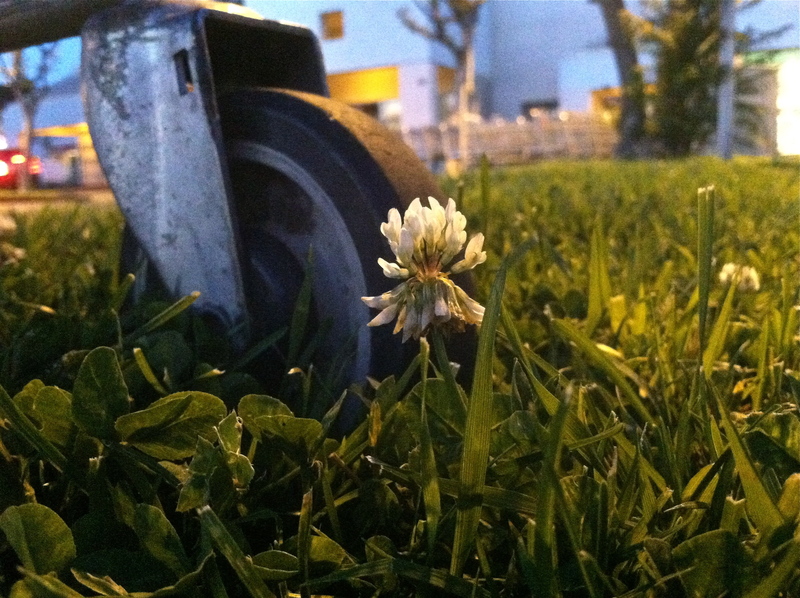 A cheery clover blossom was kind enough to change my mood. I’d spent a busy day doing way too much for the hours allotted, something a modern gal is wont to do, so when I couldn’t accomplish yet another thing on my list, my spirits plummeted. A breath later however, upon seeing the beauty of this simple scene, I became grateful that I’d been running a few minutes late, otherwise I’d have missed this tableau entirely. Thanks again go out to the weeds in my life.